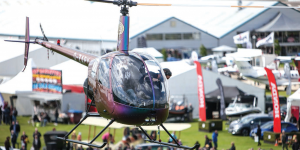 After a very successful inaugural event at Heli UK Expo in 2014, The Second Heli UK Expo Challenge Cup stormed on to centre stage at the first joint Aero Expo and Heli UK Expo at Sywell Aerodrome at the end of May. Fronted again by David Monks from the Helicopter Club of Great Britain, the racing was held over two days coming down to the wire on the last run of the last event on the second day. 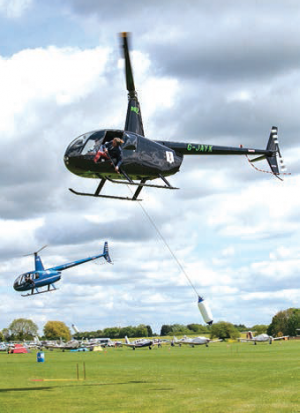 our very own home grown talent – Rob Hughes, the voice of UK helicopter racing! There were two crews who were both odds on favourites to win so anything could happen! Cunningham. 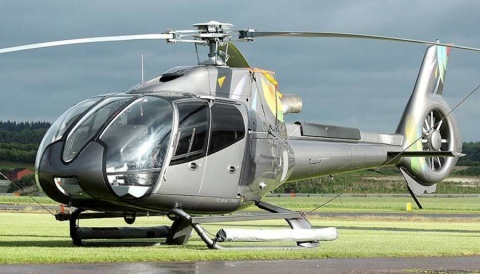 The scene was set for two highly competitive days of helicopter racing. 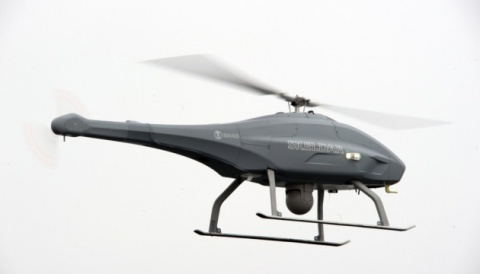 Those of you who familiar with Sywell Aerodrome know that it has its own micro climate so day one saw the crews grapple with the parallel slalom race in the grey and gloom of the Sywell weather. Not that this concerned any of the crews who were pumped up and ready to roll. The first day event was the parallel slalom. A six gate course to be navigated with a bucket full of water against the clock. With the heat on from the off set, the battle commenced with some fantastic flying from all the crews leading up to the notable quarter final. Rimmer & Clarke against Stewart &Summers saw the newcomers putting in some impressive times but last years highest placed British crew took it to the best of three after gathering a few penalty points on the way but made their way in to the last four with Stewart & Summers the highest placed losing team. Kadoorie and Smith drew lots against one of the event favourites the Szamborski brothers from Poland but clearly did not let this put them off their stride! They managed to match them on time but sadly collected penalties which saw them take an early exit from the heats. New crew Paul Porter and Tom Cunningham were unfortunate enough to be drawn against the other competition favourites, Monks & Younger, putting in a very stylish performance for a pair of first timers but with Monks & Younger having no penalties, the crew took their exit from proceedings. sign of nerves from either side, it was down to the last run. The well matched crews shot off the starting line and tore up the field to the cheers of the crowd who were now well and truly behind the home crew. Sadly, the support could not quite lift Monks & Younger in to first place, they were pipped at the post by the Szamborskis in split second timing. 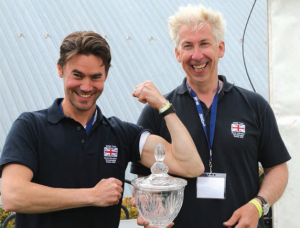 3rd place to British crew Stuart Rimmer & Ady Clarke. Day two saw Sywell Aerodrome basked in delightful sunshine, proper t-shirt weather! The day two event was the parallel fender. Three tubs, one fender on three changeable rope lengths and the object being to put the fender in to the tubs one by one on a different rope length starting at four metres and finishing at eight metres and all against the clock again. The path to the last four was paved with the same dramas as the parallel slalom the day prior with highs, lows and indeed several nice surprises where the newcomers were hot on the heels of the event grandees cutting down to the same last four and the same for the final. Again, with the flying and timings working out neck in neck it came to the third heat to finally separate Monks from Szamborski with Monks triumphant taking the fender. 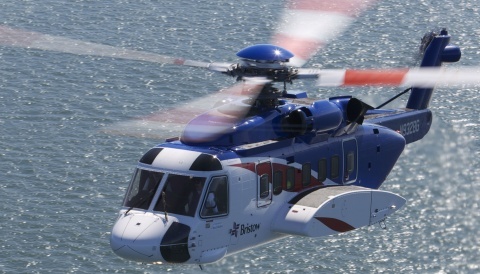 With one a piece to the Polish and the Brits, a coin was tossed to choose which event – the slalom or the fender would be flown to determine the winners of the 2015 Heli UK Expo Challenge Cup. the crowd fully behind Team GB. Unable to separate their performance, the course was flown as if they were synchronised until the last barrel when Monks got the edge over Szamborski and the clock stopped at 41 seconds, the fastest time of the whole event by two seconds with Szamborski roaring in behind at 44 seconds. 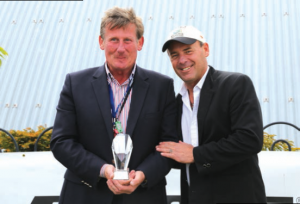 After a furious two days of flying the 2nd Heli UK Expo Challenge Cup remains in the UK in the hands of David Monks and Barnabas Younger. 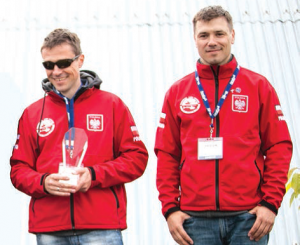 Second place went to Marcin & Michal Szamborski of Poland and third place to Stuart Rimmer & Ady Clarke from the UK.